In the world of precious metals, gold is considered the king of them all because of its rarity and in most instances, the mere mention of precious metals immediately links most mind to gold and perhaps even silver. Although it is true that gold and silver lead the precious metal pack, the rarity of gold and silver is dwarfed by that of platinum and its even rarer cousin palladium. Platinum is so rare that all the platinum ever mined on the planet could fit comfortably into a reasonably sized house and palladium being even rarer than platinum by a whopping 15 times and rarer than gold by 30 times, all the palladium ever mined could probably fit into a decent sized living room. This leaves most people with the question, ‘if palladium and platinum are rarer than gold, why then, are they cheaper than gold currently? The answer lies in the physical demand for these metals, the demand for gold is extremely high due to the jewellery industry and the demand for palladium or palladium in the jewellery industry is not as robust and the only constant for platinum and palladium demand stems from manufacturers as over 20 % of all manufactured goods depend on these rarer metals. Looking at all these facts, another question is posed “would investing in these metals be a good thing?” the answer is YES! 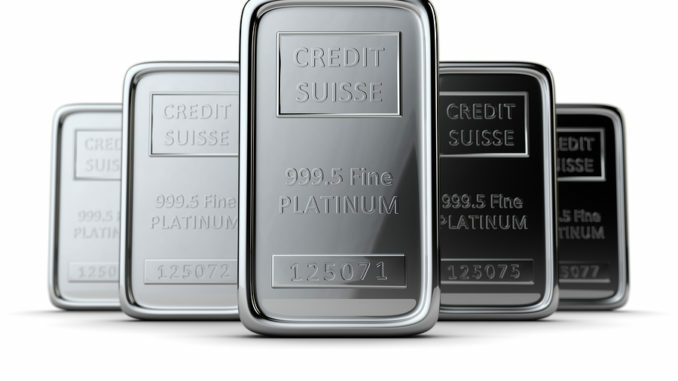 If we look at prices of platinum it is at approximately 960 dollars per ounce, whereas palladium the rarest of them all hovers around 520 dollars per ounce whilst the almighty gold reigns at more than 1,230 dollars per ounce. The prices of precious metal are expected rally as stock market uncertainties push investors into the precious metals dimension. Although the first few waves will be targeting gold and silver to hedge themselves against whatever adverse possibilities that may arise from current volatile market condition, when the price of gold and silver gets to a point where it meets market resistance, investor attention would shift towards platinum and palladium, sending their prices rallying as well. Although platinum prices are lesser by more than 200 dollars per ounce in comparison to gold, for most of its past, platinum has always been higher priced than gold and as such the prices that it is at now is extremely cheap in relative terms. It was not until the collapse of Lehman did the prices of gold catch up to the price of platinum and in 2011 gold took the lead. The gold rally has kept gold aloft, but the fact remains that platinum is much rarer and when gold prices get too high, the chances are that platinum and palladium will rise due to the limited quantity of both these metals. In 2008 an ounce of platinum was fetching approximately 2000 dollars before falling to below 1000 dollars towards the last quarter of 2008 but quickly rose to about 1700 dollars gaining by 150 % WITHIN 34 MONTHS.